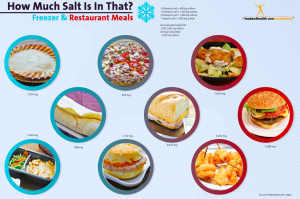 The Centers for Disease Control and Prevention (CDC) recently published a report revealing that more than 90% of all Americans consume too much sodium, and that 90% of sodium intake comes from retail stores and restaurants (1). The Dietary Guidelines for Americans insist that "Americans currently consume too much sodium" (2), counseling people to consume no more than 1500-2300 mg of sodium per day (3). 36.9% of average sodium consumed came from grains, and these included highly processed foods like bread, frozen meals, and soups (4). 27.9% of average sodium consumed came from meats, poultry, fish, and mixtures; most of this is from processed meats and fried items (5). 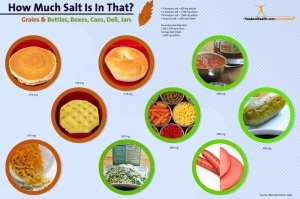 12.4% of average sodium consumed came from vegetables (6). Vegetables are naturally low in sodium, but this category does include processed versions that come in cans or with prepared sauces. If you’re planning to go to a restaurant or fast-food joint, check out the nutrition information on their website before you go. This should help you regulate your sodium consumption. 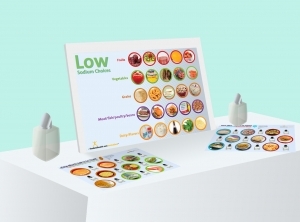 If you’re at the grocery store, make friends with the Nutrition Facts panel on the back of processed and frozen foods. 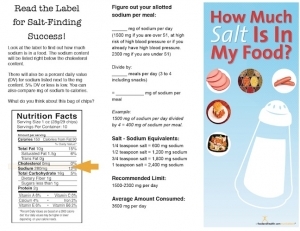 Use it to find foods that have 10% or less of the daily value for sodium.